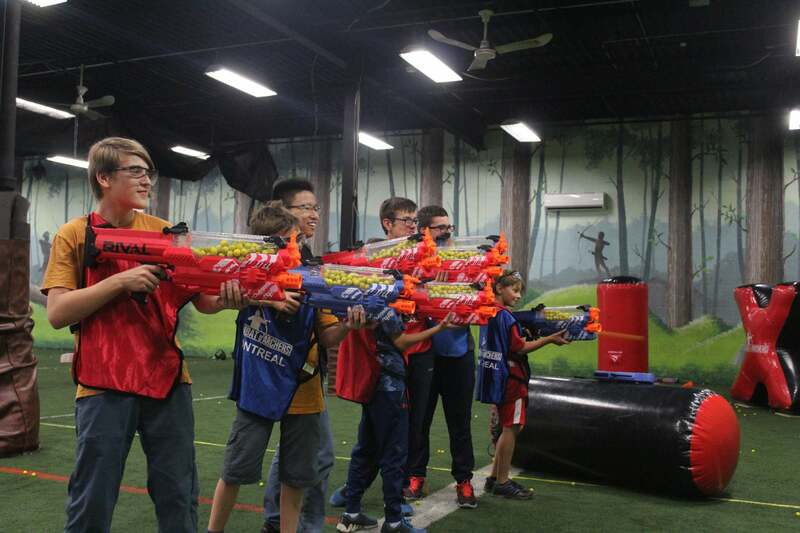 Combat Nerf Montreal - Nerf Combat - Montreal's largest Nerf Arena! 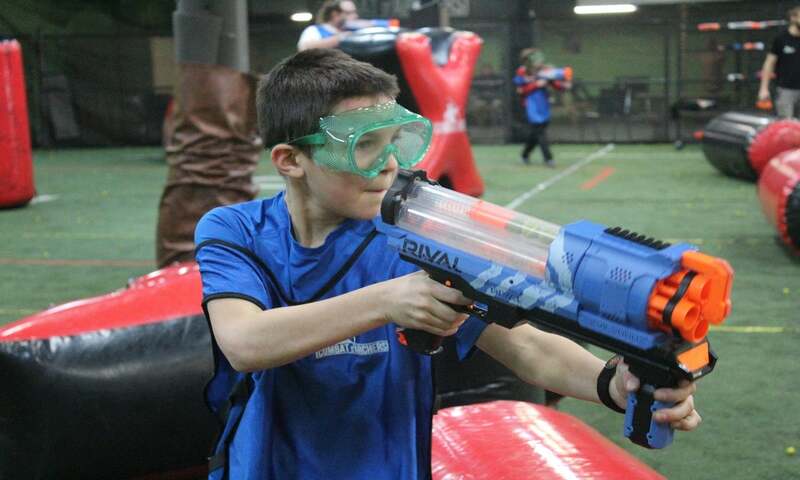 15 minutes of instructions followed by 60 minutes of games. 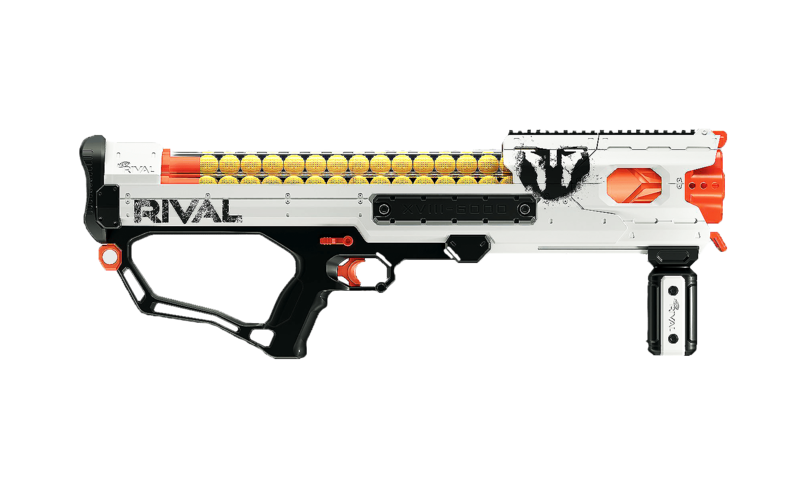 Play many different game modes in the hour. 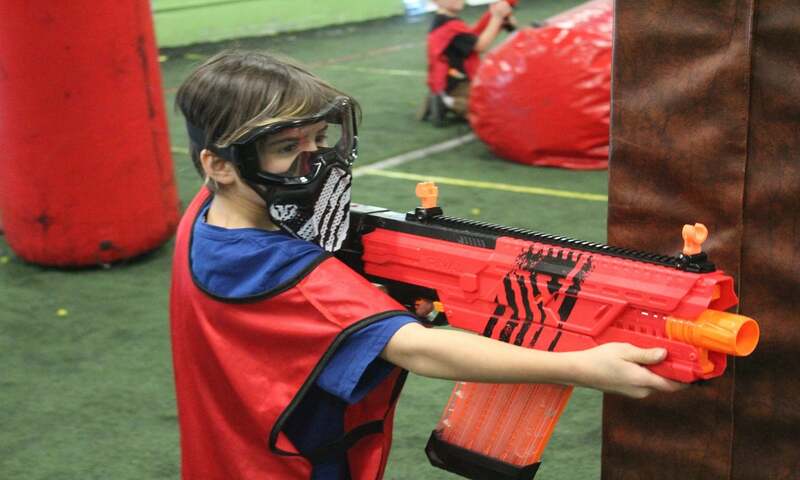 Kids 6 years and up can book for a session to play COMBAT NERF. 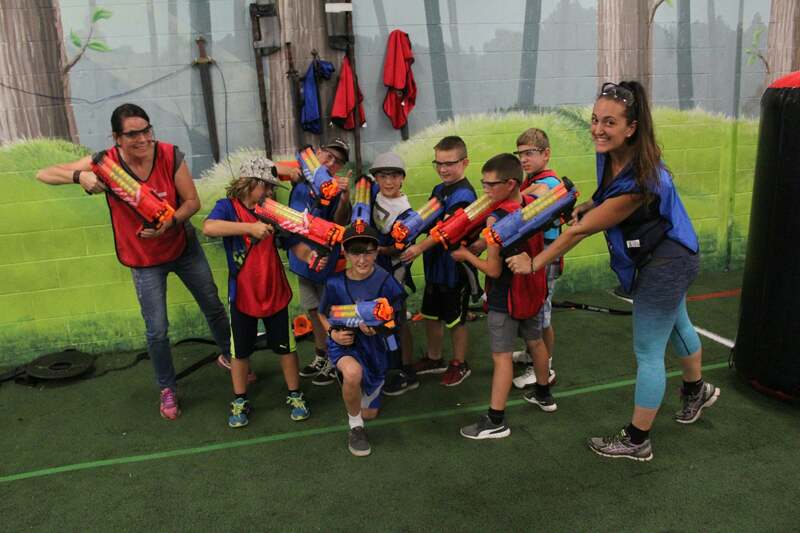 They will be taught how to use the different weapons all while learning safety rules that will ensure for some extremely fun times with friends. 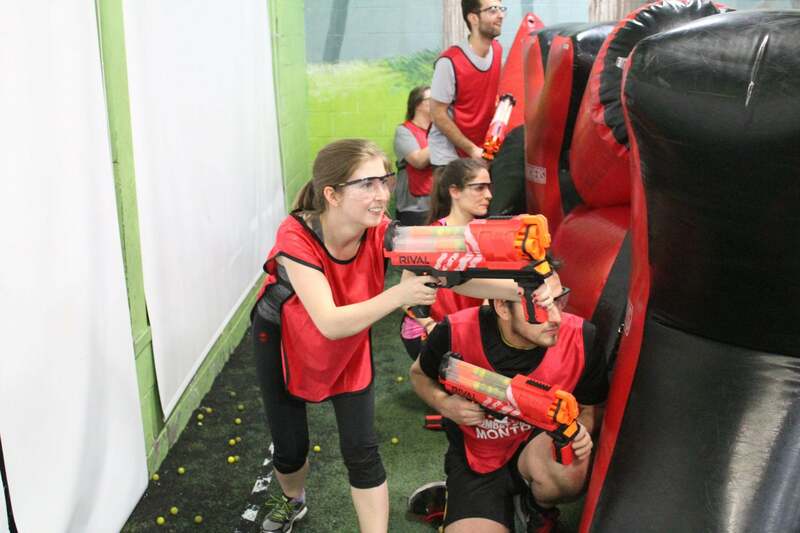 Have a blast with your co-workers! 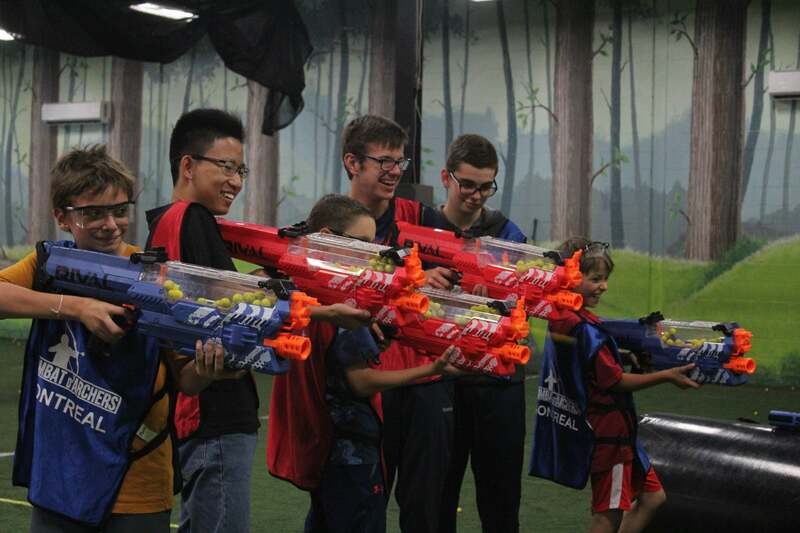 Teams work together in several different game modes in order to come out victorious. 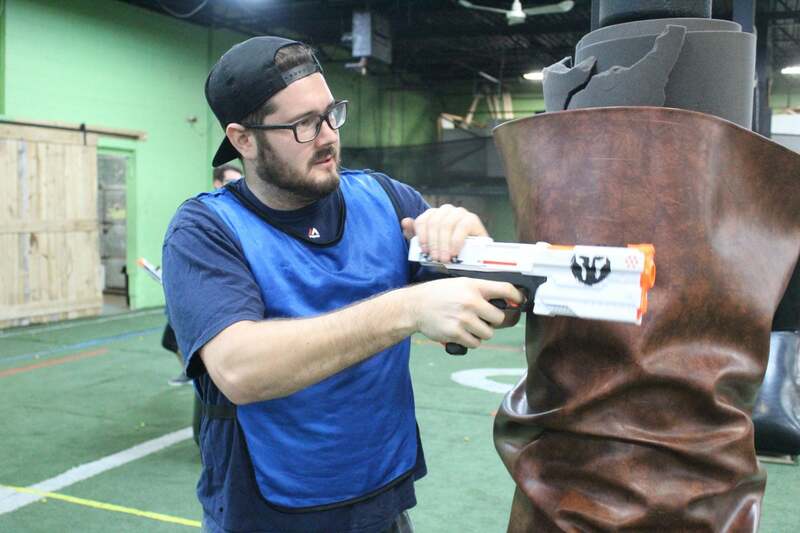 Usually the team that is able to form the best strategy wins the round. 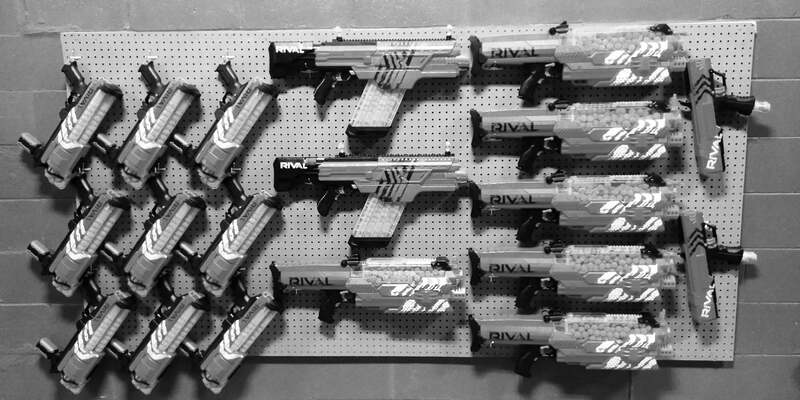 You can then adjust your strategy for the next round. 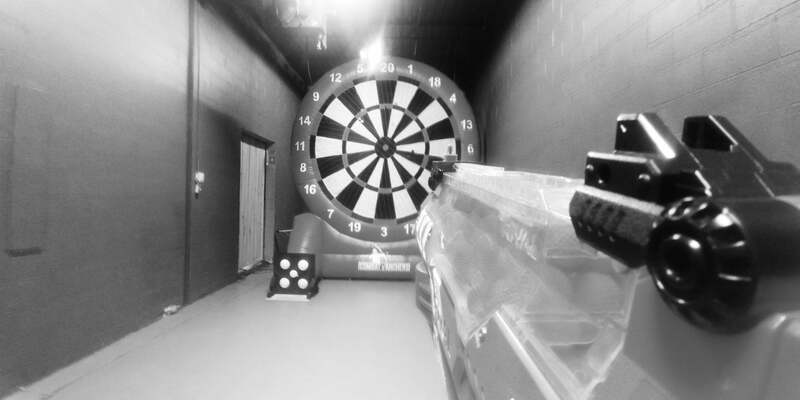 Come shoot at your friends! 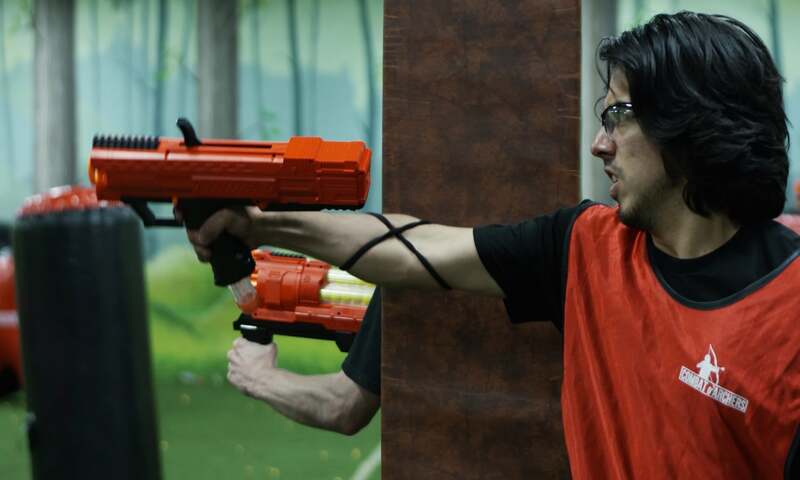 Have a blast shooting at your friends in a fast-past game of Combat Nerf. 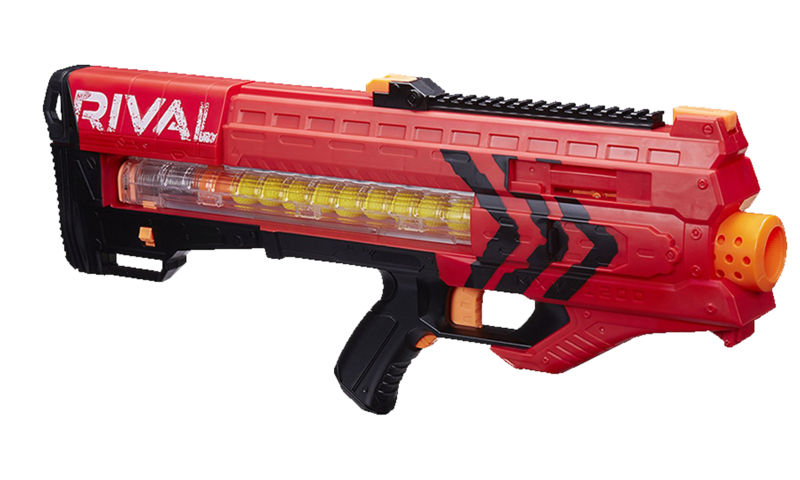 You get to play several different game modes with different weapons coming into play. 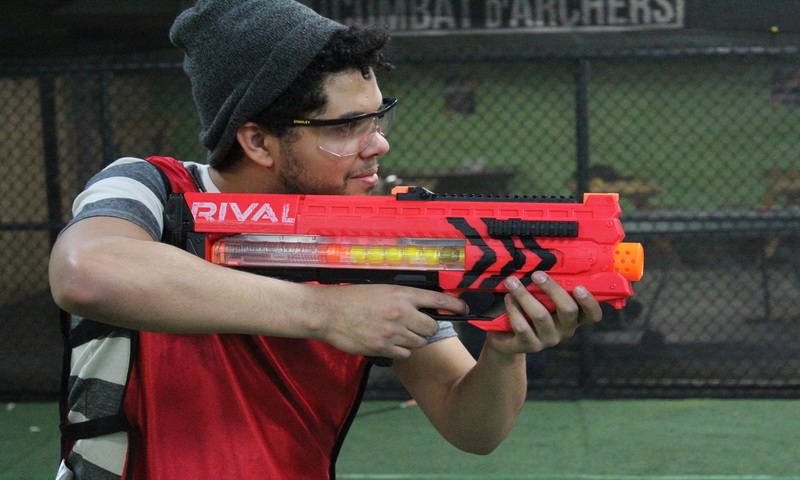 It’s an extremely fun game regardless of your athletic ability. This is for sure a great idea for bachelor parties. 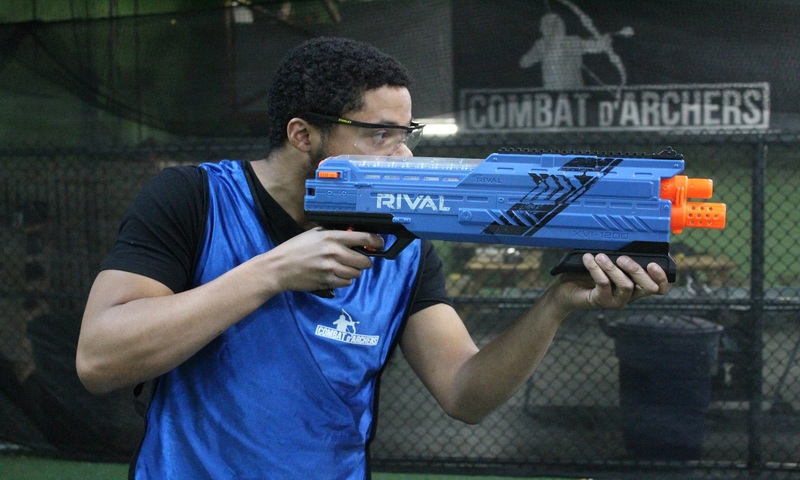 We have game modes specially tailored for the bachelor. 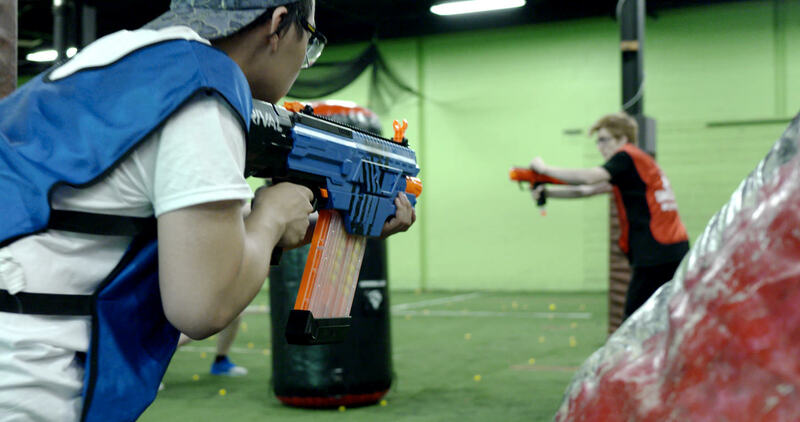 Skip all the mess from paintball. Shoot each other with some Nerf guns instead! 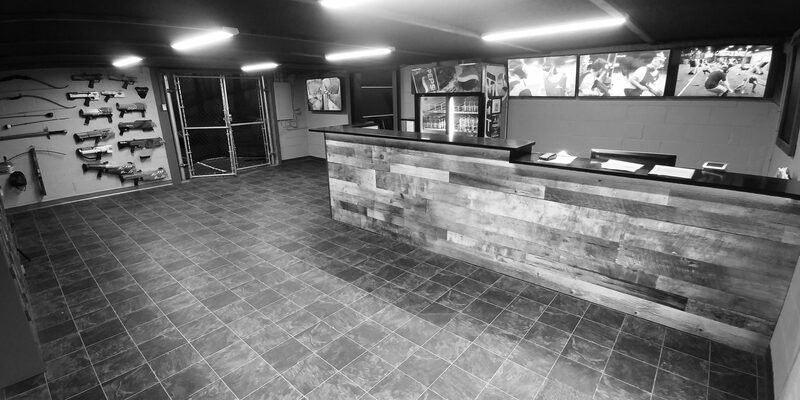 The Venue has a surface of more than 10,000sf and is fully air-conditioned. There are changerooms and combination lockers at your disposal (no need to bring a lock). The Lobby is equipped with a Ping Pong table and a Foosball table. 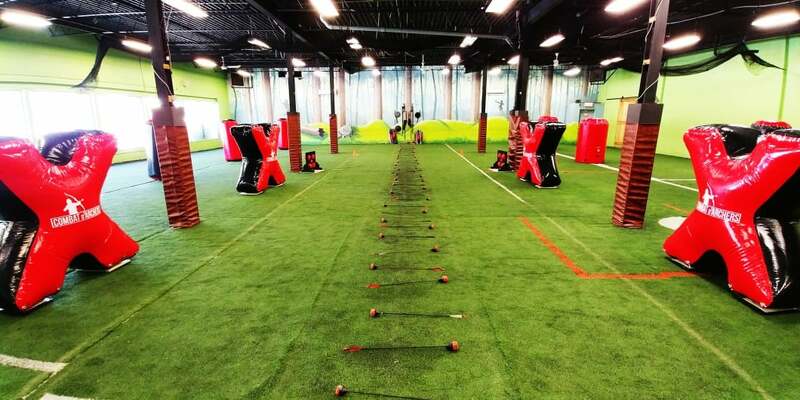 The admission fee covers access to these games before and after your game. 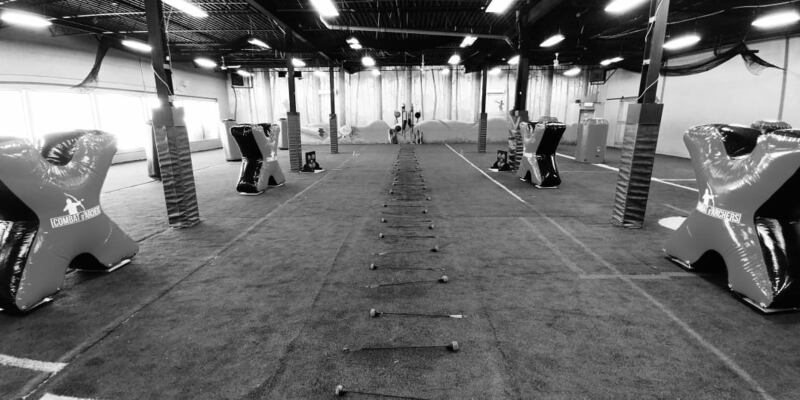 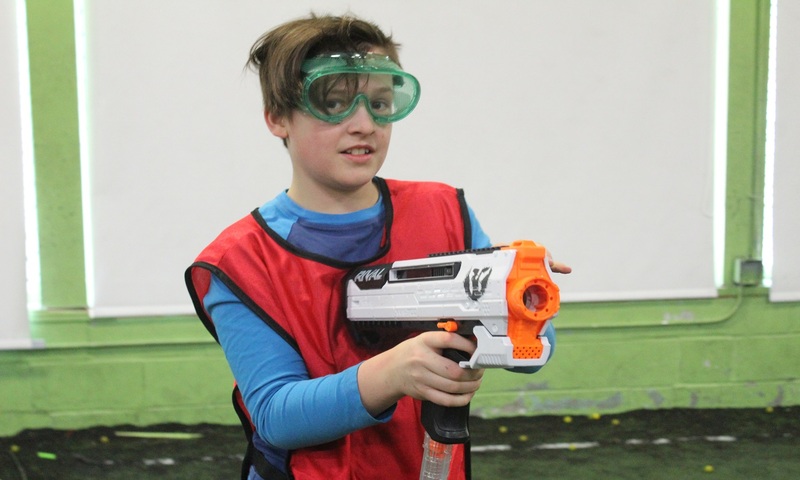 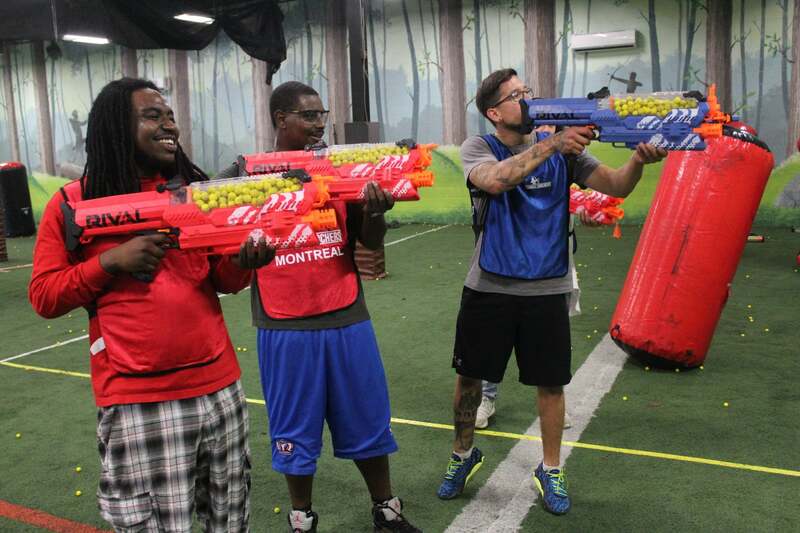 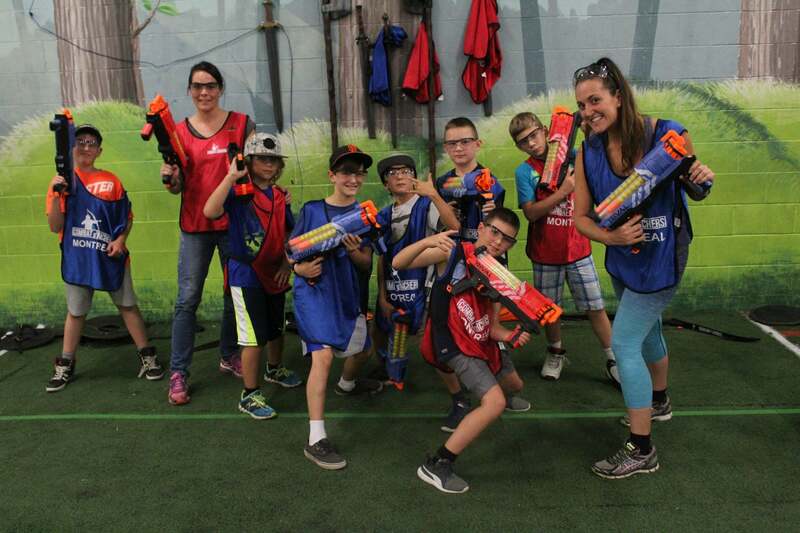 The field sits on Astro Turf and is Montreal’s Largest indoor Nerf Arena for up to 40 players playing simultaneously! 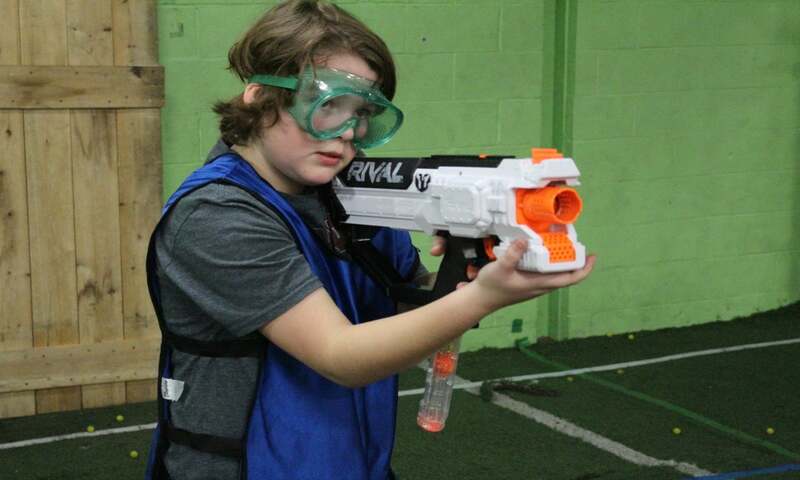 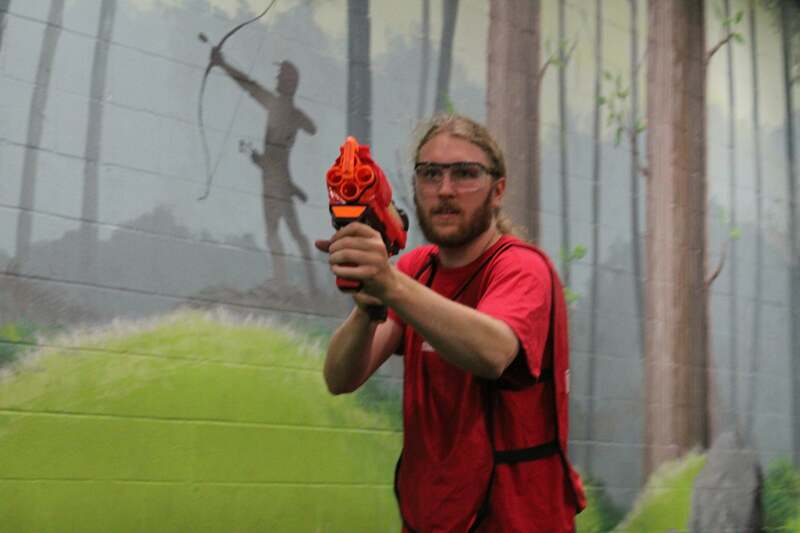 The equipment was meticulously chosen to provide the best and safest Nerf experience for our guests. 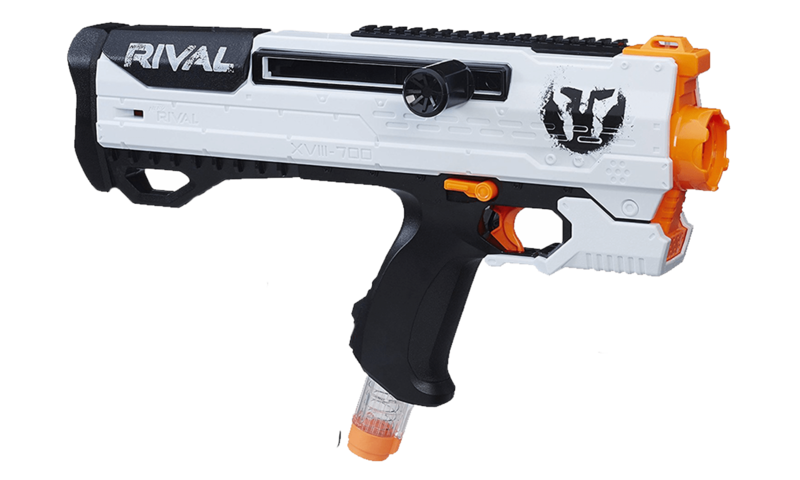 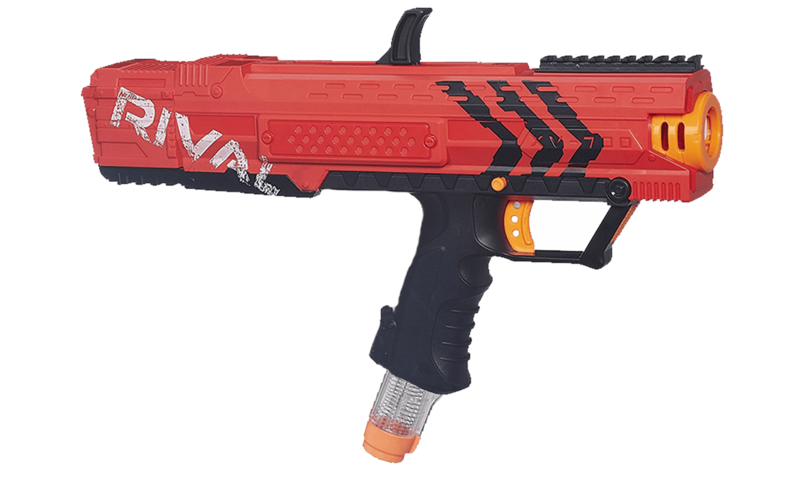 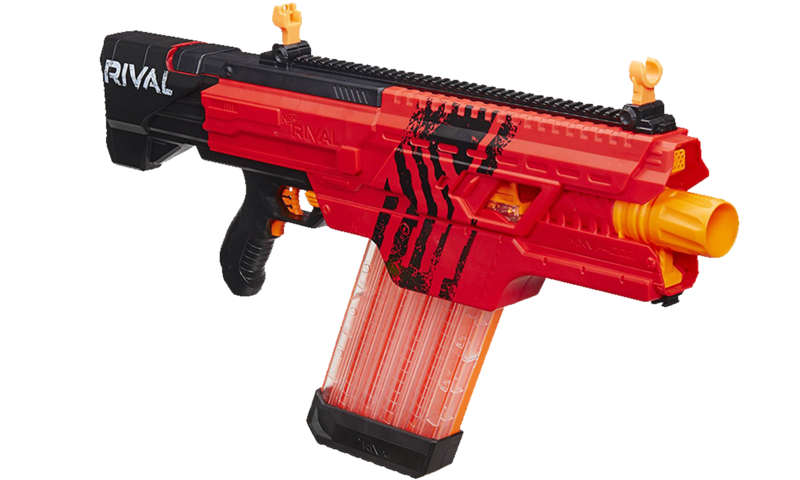 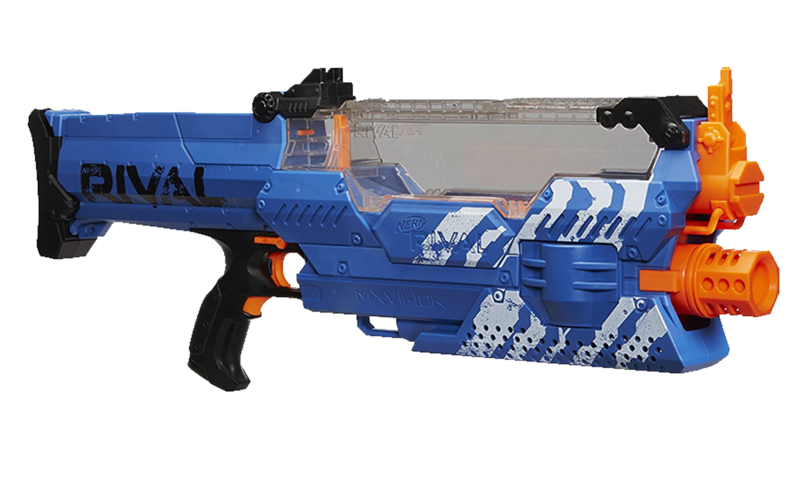 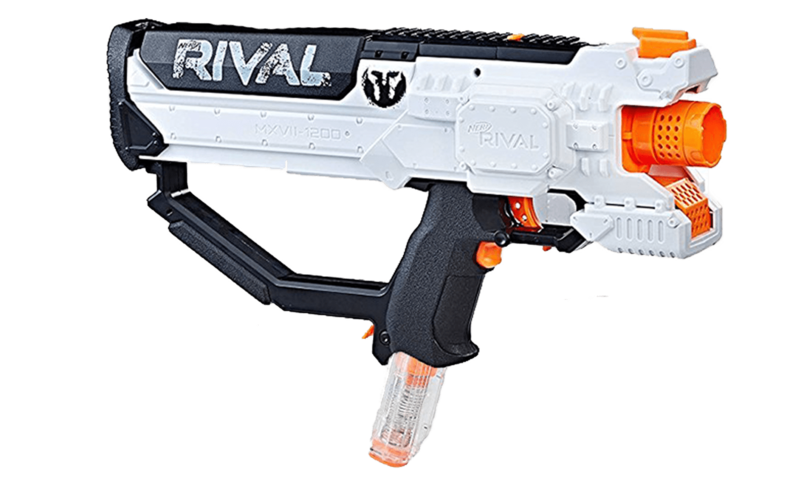 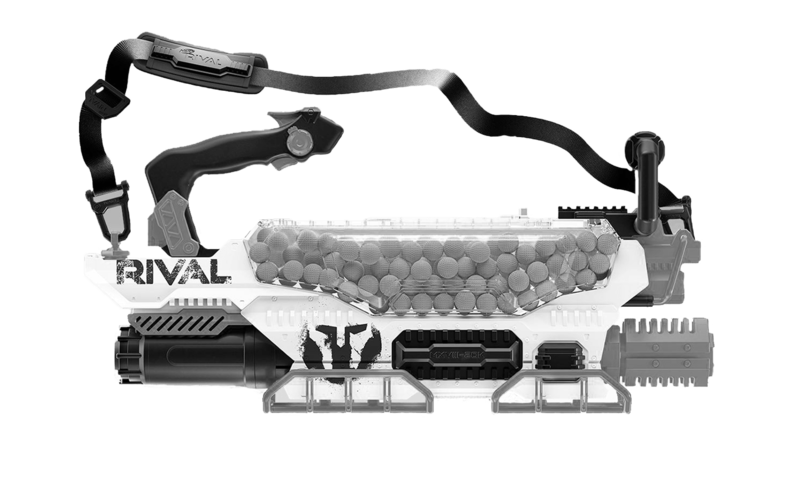 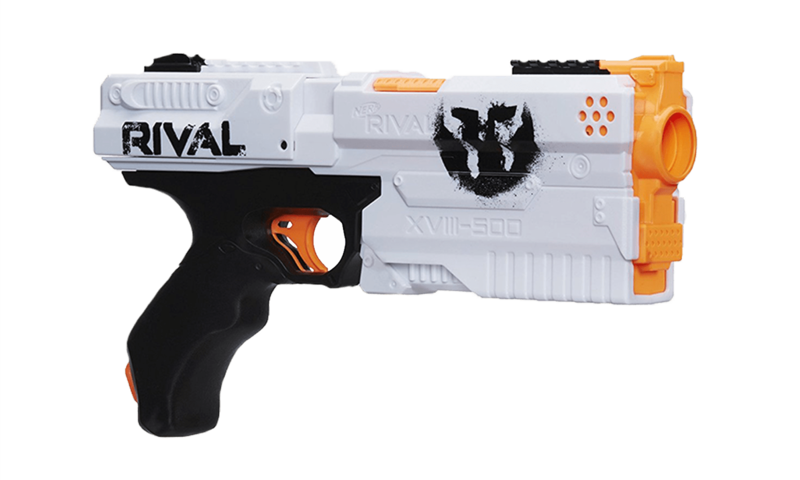 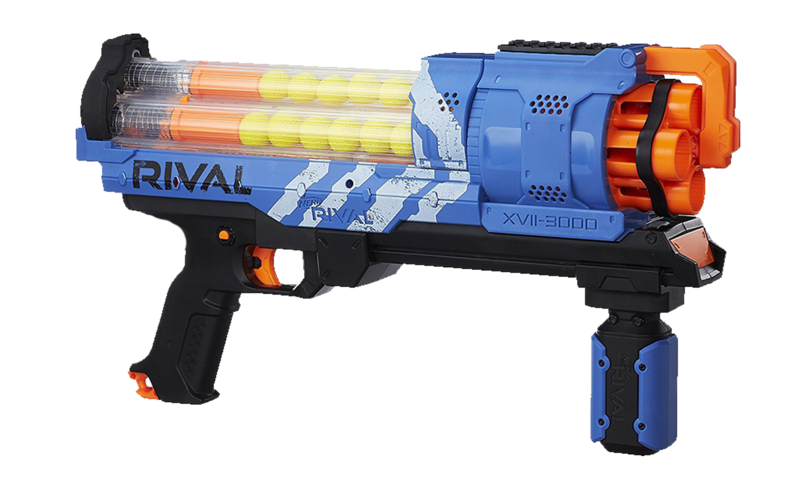 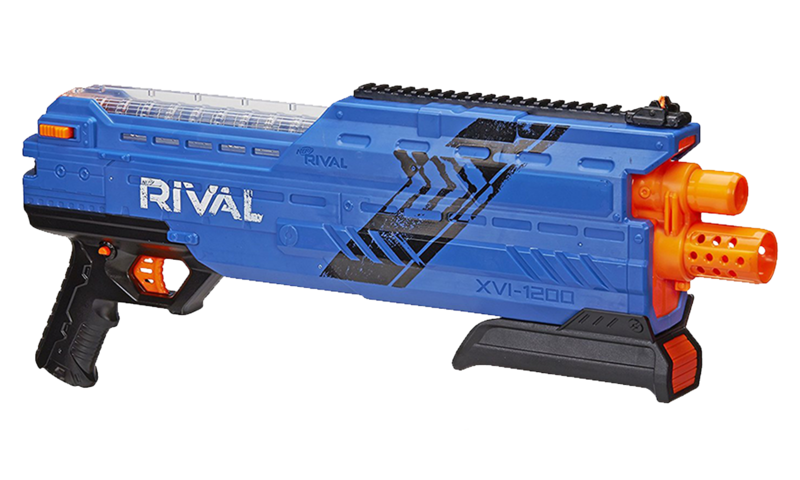 We carry the best of the latest Rival series Nerf guns and provide many different weapon options for participants. 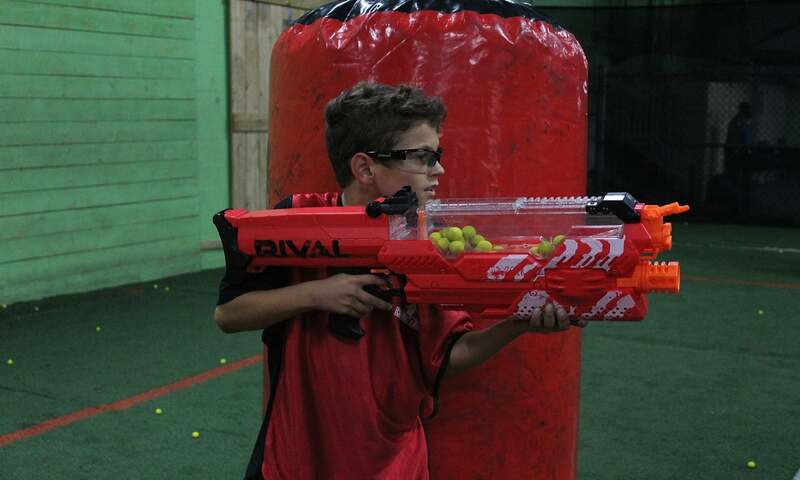 CEach group spends 20 minutes in the training room where you practice shooting on our Nerf targets! 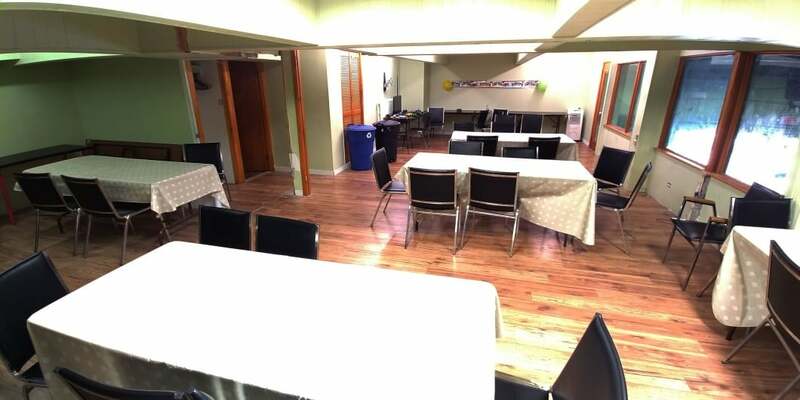 The Party Room comfortably seats up to 50 people and is located on the second floor of the castle. 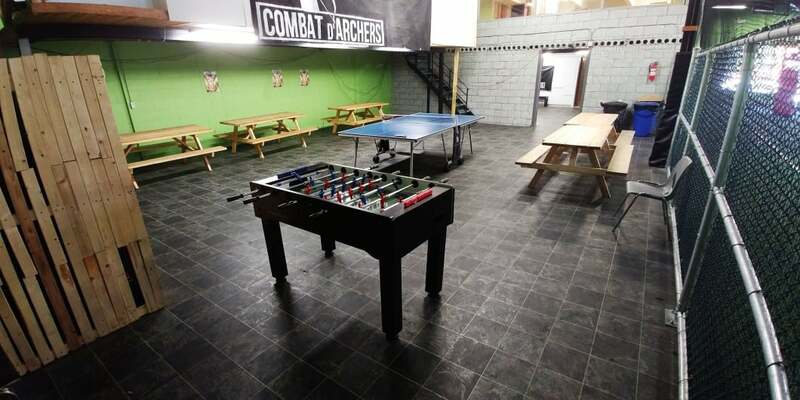 Groups may enjoy some private time to celebrate all while observing the games from the windows. 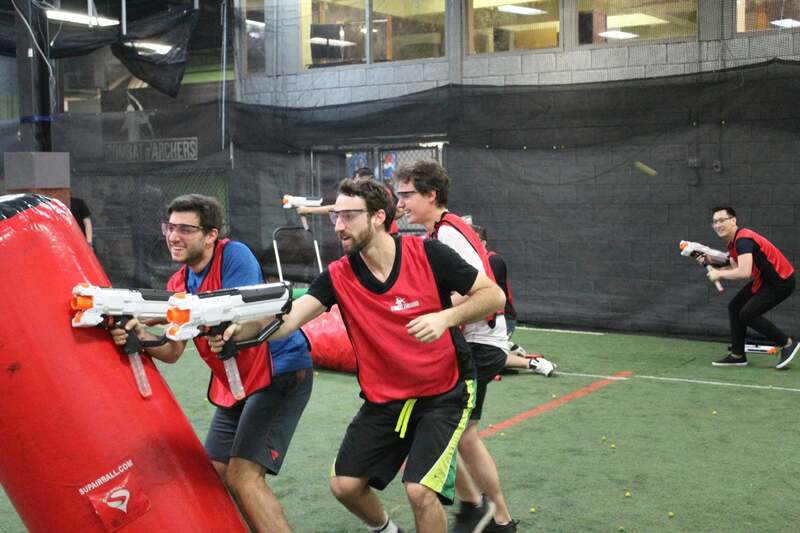 The field sits on Astro Turf and is Montreal’s Largest indoor Combat Archery playing field for up to 40 players playing simultaneously!